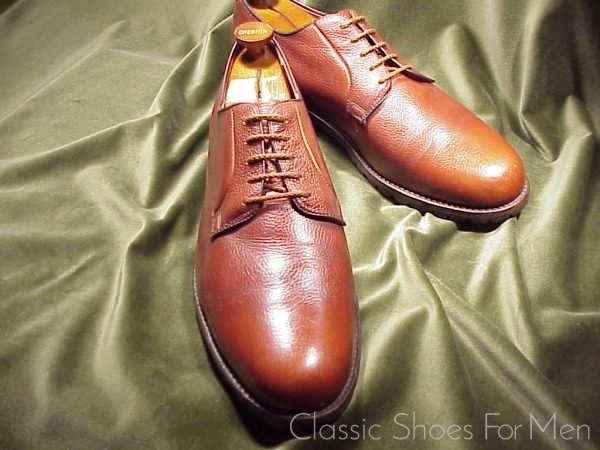 Cable Car Clothiers, the legendary men’s haberdashery of San Francisco, with Mr. Charles Pivnick, in his 61st year of serving an elite community of gentlemen shoppers, has provided a wide range of imported accessories from the best English makers. 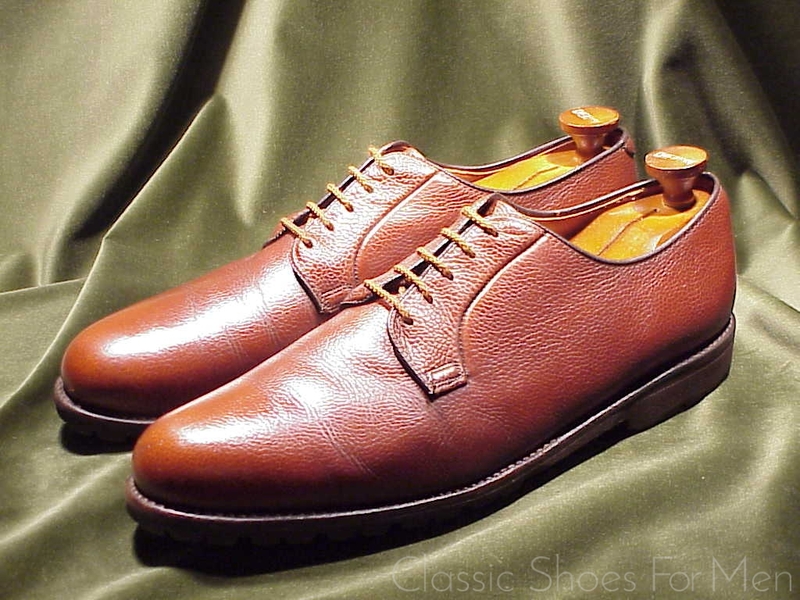 For dress clothes, bow ties, braces, hats and fine toiletries there is no shop to compare in California. 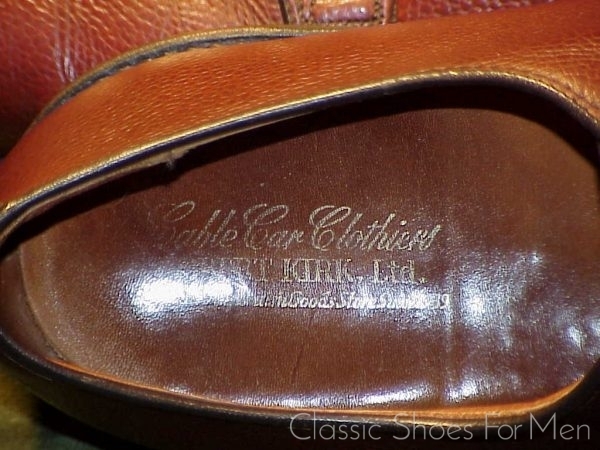 It is unfortunate that Cable Car Clothiers discontinued the sale of shoes some years ago. 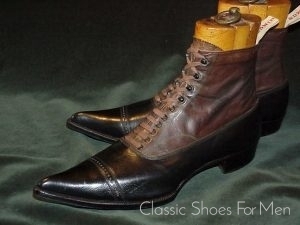 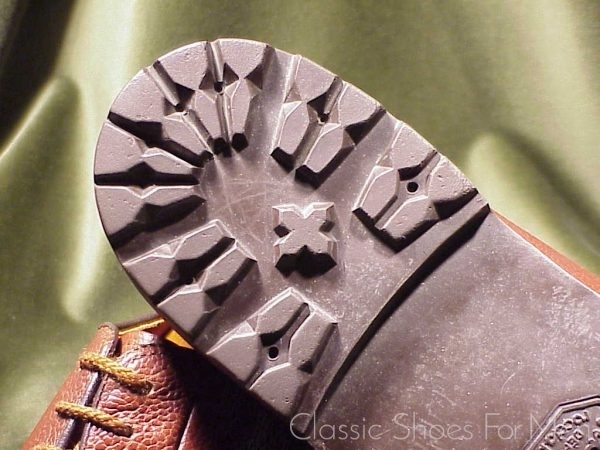 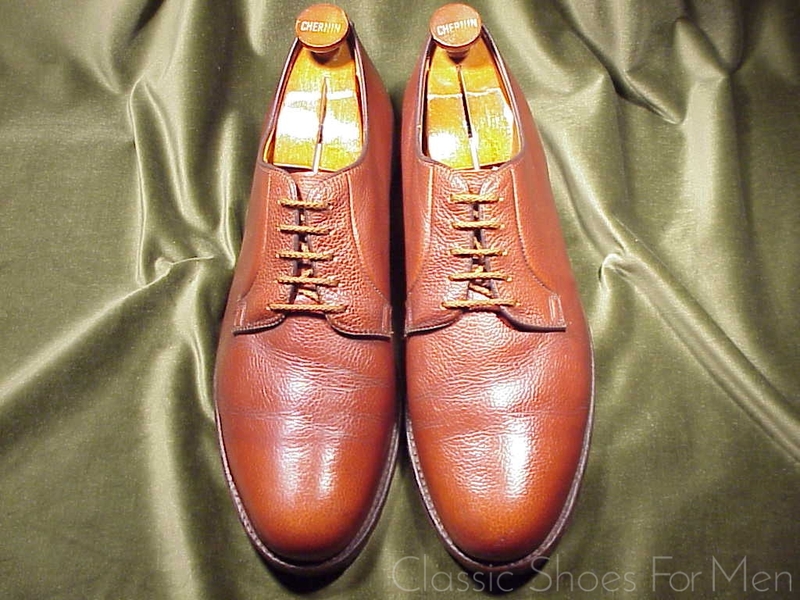 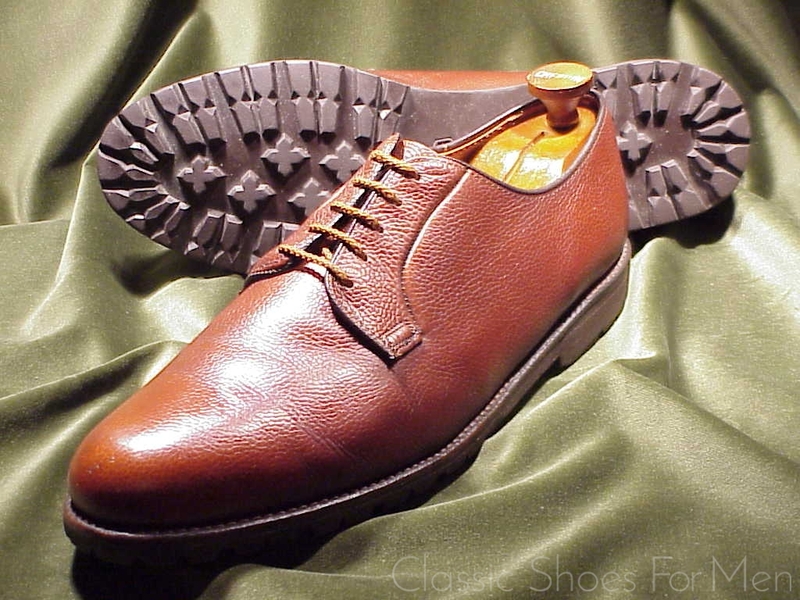 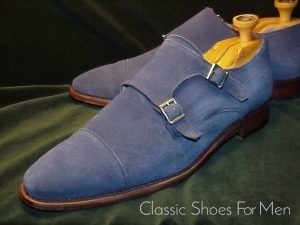 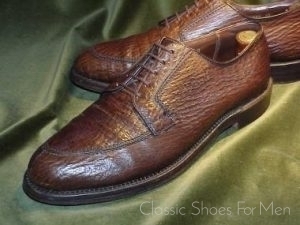 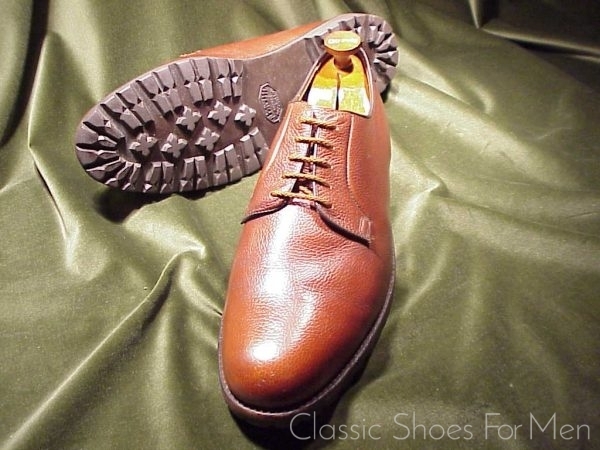 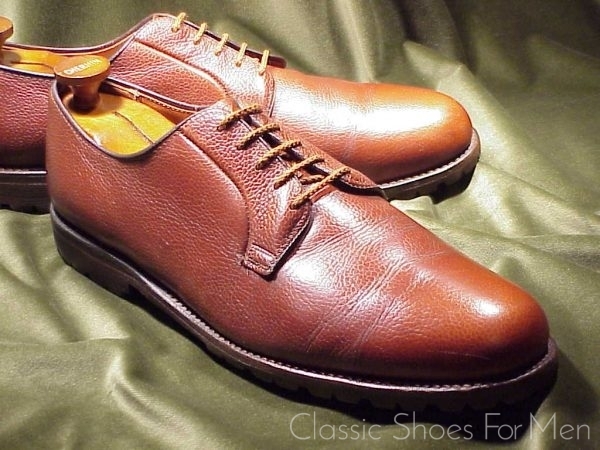 Their proprietary shoes at the time, many made for them by E. Green, were as fine as any I have ever seen. The pair in this listing, though not by Green, is as well made and as lovely an example of this indispensable classic, the All Weather Blucher (Derby), as one is like to see anywhere. With its discreet plain front, this warm Scotch Grain Calf, supported by its high profile Vibram sole and heel, promises to take you comfortably and safely though every challenging terrain or inclement weather. My intention is to show Mr. Pivnic the shoe on my next trip to San Francisco and confirm its age and, considering the absence of the makers logo, enquire after the shoemaker. 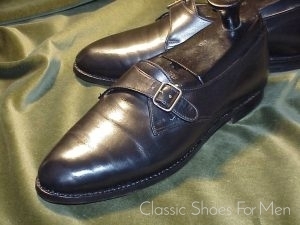 Still, whatever the vintage, or the English house that made them, this is a hand-finished product of the first category and, moreover, a charming and now otherwise unobtainable piece of San Francisco history. 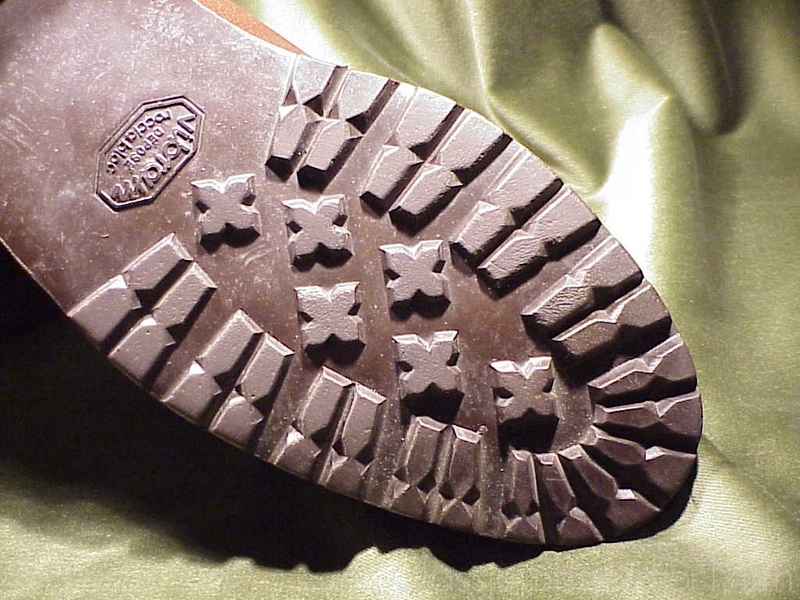 US 13D (UK 12E) (Continental 46D) for the mid-width foot. 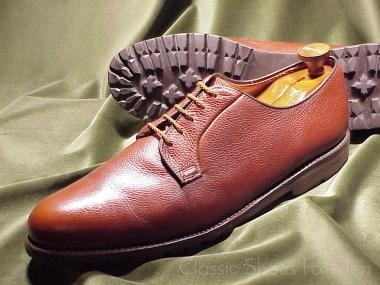 A godsend for a big or heavy man; here is a shoe that you will not walk out of. 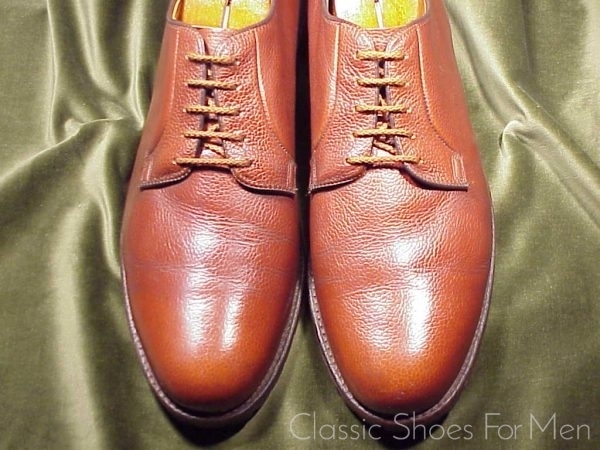 Very lightly worn, slightest creasing, nearly new. 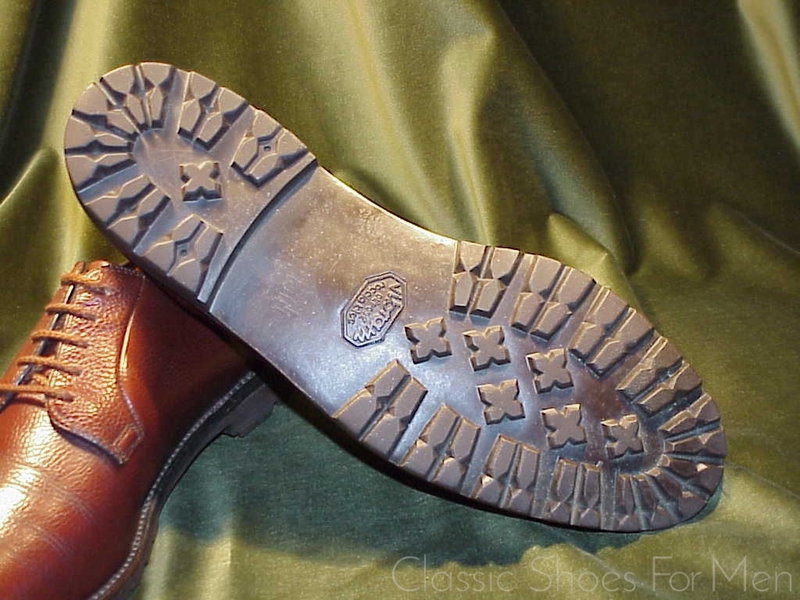 A Euro 600 value.